There are quite a few people in my life who are graduating from high school and college soon. I've been thinking about ideas for gifts for them that are more meaningful than just a check. I know money is always appreciated, and maybe I'm just sentimental, but I'd love to be able to choose a gift that really means something. When I graduated from high school, I received luggage as a gift. It was a lovely set of pink and grey flowered tapestry luggage—so very 1992! If I saw it today I would think it was the ugliest luggage ever, but I did love it 20 years ago. I don't know if that luggage really meant anything meaningful to me, though. It was a practical gift, and I got a lot of use out of it, but I wasn't sentimental about it at all (which is why it is no longer with me!). 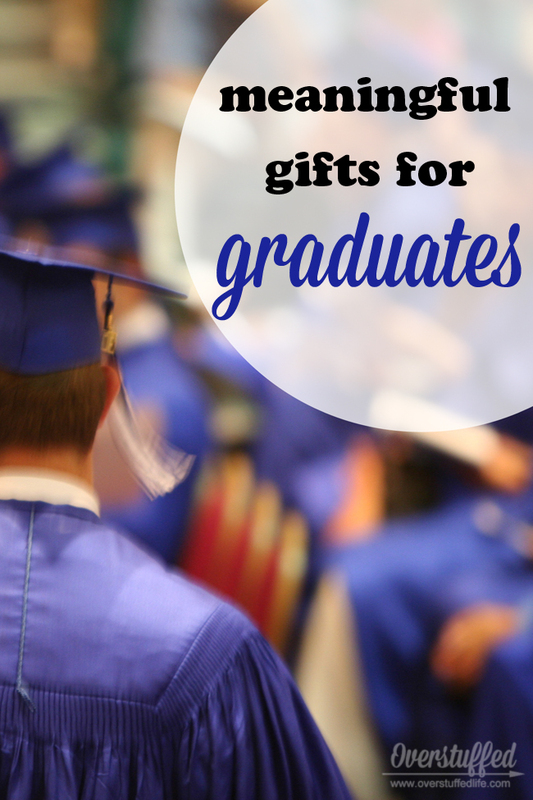 So this post is not about practical grad gifts—you'll have to look elsewhere for those. This post is about the meaningful, sentimental, personalized graduation gifts that will last a lifetime (or at least a bit longer than my luggage did)! I am a huge journaler. I love receiving new journals, and one that is somehow personalized just for me would be something I would treasure forever. I keep every journal I've ever written in (even though I often think about throwing out my embarrassing high school volumes), and every once in a while it's really nice to go through them and reminisce. I have a few volumes that were given to me as gifts with my name engraved on them and a note inside from the giver. It's nice to read where I was in my life journey at that point and remember and feel gratitude towards the giver. There are literally millions of journals to choose from out there. I love this classic hardcover journal because it's not too fancy, but it's still really nice. 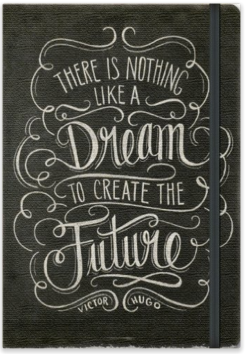 But if you're looking for something fancy, I also love this faux antique journal and this leather journal. Graduation from high school or college is not an ending, but a beginning. 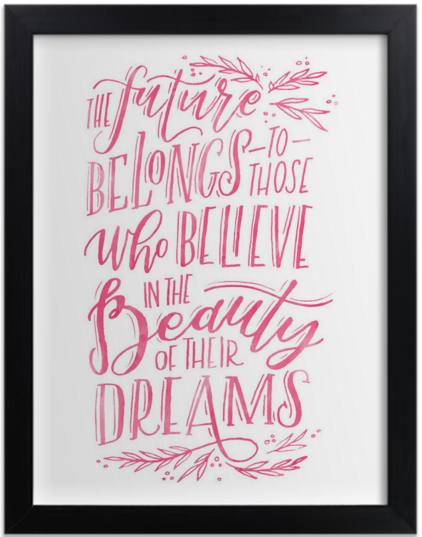 Giving a graduate a framed inspirational quote is the perfect way to start them on their newest journey. 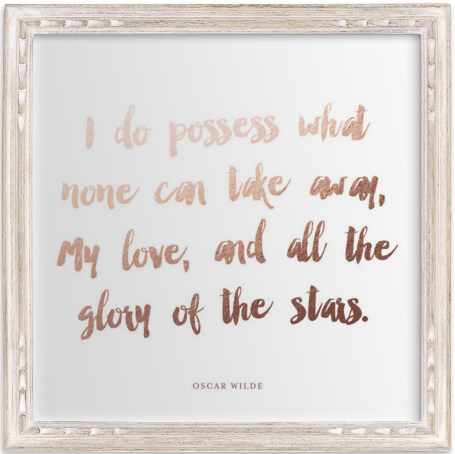 I love the art prints from minted.com. 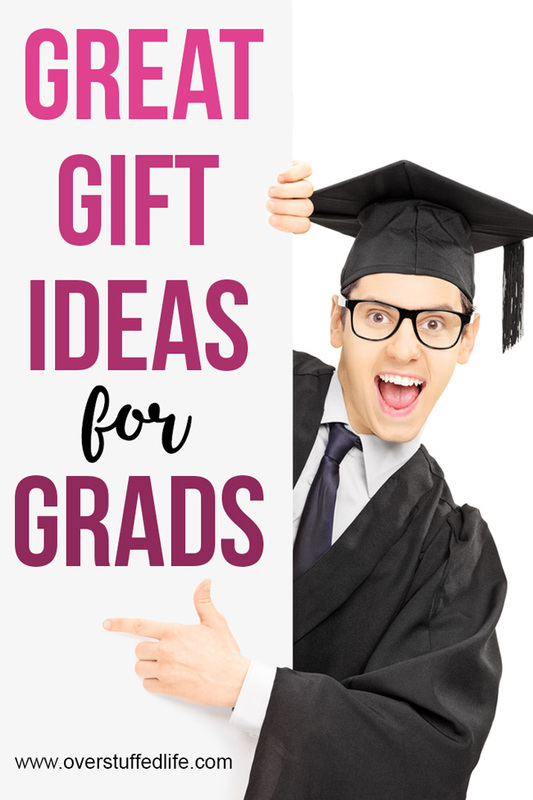 You can buy them with or without a frame, and they have several different choices for frame styles and colors, so you can make it match your graduate's personality perfectly. I like this one—isn't it just perfect for a new graduate? You can order it here: Believe in the Beauty of Dreams. I also really like this one because you can choose your favorite poem or quote (or your graduate's favorite poem or quote) to put on it. Isn't it pretty? You can purchase it here: Favorite Poem Art. With most of our photo experience nowadays being entirely digital, it's especially wonderful to receive a book of photographs that mean something. Which photos you put in the book will depend on your own relationship with the graduate, but it could be anything from memories you've shared with them to a look at their entire life from babyhood to graduation. So many of the online photo places offer great books that are easy to make and absolutely beautiful. I really love the photobooks offered at Shutterfly. In the last couple of years I have tried to give my own children experiences over more stuff. Giving a loved one who is graduating an experience like a vacation or tickets to a concert will be something they remember forever. Think about the things your particular graduate will love most and find experience gifts to match. If your high school graduate is going on to major in art, buy them tickets to an art show or art museum, for instance. If you are thinking of gifting your graduate a vacation experience, think about using Get Away Today to book something special! They specialize in Disney vacations but have much more to offer! If you do book a Disneyland vacation with them, you can get an extra $10 off by entering code stuffed10 at checkout. Graduation is a wonderful time to gift something super special, like a family heirloom. Again, these heirlooms should be something that you know will be meaningful to the graduate somehow. When I graduated from college with my music degree in vocal performance, my grandmother gave me her old opera glasses. She was also an opera singer, so having something of hers having to do with my own degree was doubly special. I still use them all the time—I brought them to the opera last weekend! I love that I think of my grandmother every time I use them and it makes me feel closer to her, even though she passed away 12 years ago. Jewelry is something that can last a long time, and something tailored specifically towards your graduate will be loved forever. There are many places to purchase such jewelry, but I wanted to share with you a newer company that has some really neat options and is all about personalization. Keep Collective is a new take on charms. You can purchase a "keeper" in either a necklace or bracelet form and keep various charms (called "keys") on it. Some of the keepers are nice and casual, while others are fancier. I love the leather bracelets because they are all reversible (I have one that is blue and green) and suitable for every day wear. But I also like the metal bracelets and the necklaces. The keys comprise things like hobbies (I have a musical notes one! ), sports, animals, travel, initials, etc. You can really go crazy with the personalization! Besides the personalized charms, there are several that are just pretty, if that's what you're going for. Finally, I like that you can add to them as life goes on. Graduation is a beginning, not an end, and there will be so many more reasons to celebrate! I agree with the heirlooms idea! While I may not have gotten anything like that for graduation, I do know that those kinds of gifts are the ones I remember years and years later (and still hold onto!). For my graduation, what I was most happy about was a digital camera. I received it right before a trip to see family (which, I guess, was also a graduation gift, if you think about it) and loved having a good way to take photos...and still use it now (though it's 6 years old and quite outdated!). Cash was nice, sure, but a camera allowed me to record my own memories as a new "adult"! I like the rose gold/saddle and the espresso/pewter silver double leather band keepers. And for the add ons...maybe the live happy bar, a birthstone, and 2015. I've been trying to come up with something meaningful for graduation for 2 special cousins and I love the idea of a bracelet and charms. The wishing stones are my favorite. I really like the bands for these...great gift idea. I think my favorite idea from your list is experiences. I'd better get started on that now, while my kiddos are still young. I really like the leather black/saddle band and all the possibilities with the cute keys. It looks WAY cute! What a fun idea, and personal! 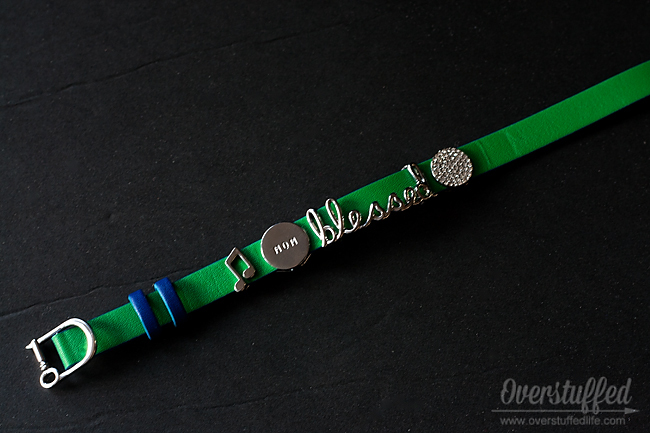 The mesh bracelet is awesome! I would order one for my sister who is due with her first baby in August. I would love to the the mint/steel grey leather band. Love it!